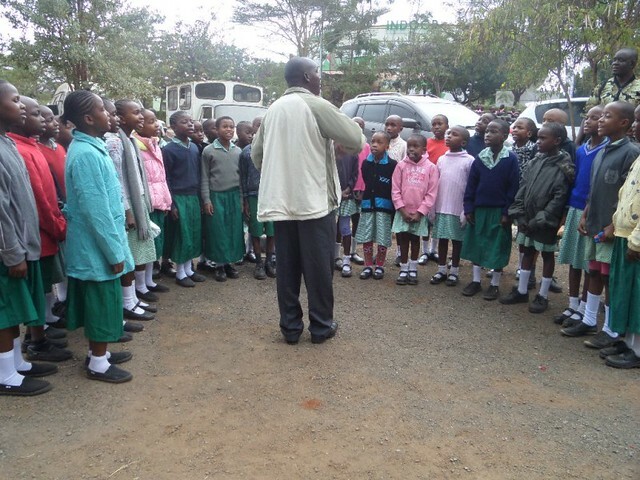 On 7th August 2016 at 8.00am we left SBM School by Kilifi Township secondary bus for Nairobi .All the children were excited because majority had never been further than Kilifi County before. 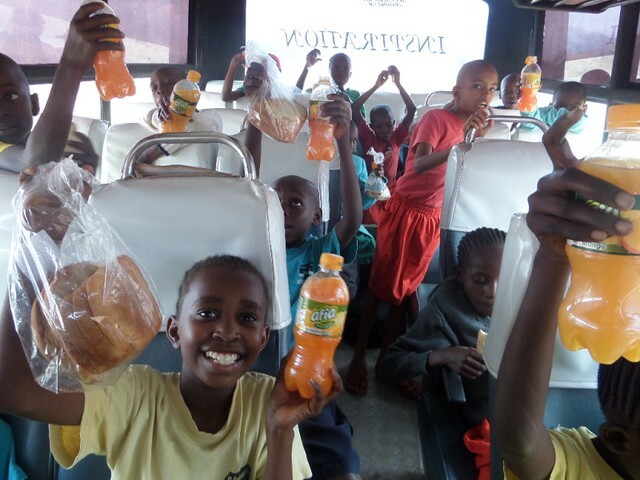 At around 2.00pm we took a short break for lunch, only another 7 hours until we reached Nairobi. 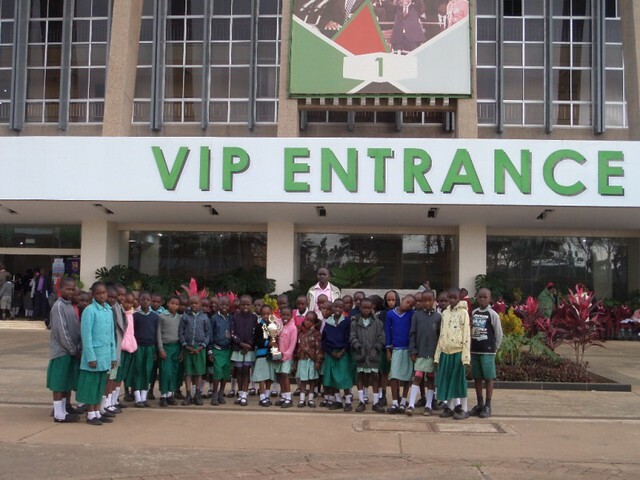 As we were travelling on the main Mombasa – Nairobi highway the children had an opportunity to see some wild animals including elephants as Tsavo National Park is nearby. This helped them to understand better the pictures they see in books. We reached Nairobi around 9.30pm and got a warm welcome at Ngara girl’s High school where the county had organised accommodation. They took their supper and thereafter retired to bed as everyone was very tired.The following morning we woke up very early because we were expected to perform at 8.30am.Everything was done with speed and left for Moi International Sports Centre Kasarani ready for the tough task which was ahead of us. We registered in two different classes of the competition and took a short period for doing some vocal exercise, everyone was so excited. Our turn came, apprehensively we climbed onto the stage and every single child sung their heart out, SBM School choir took the judges by surprise. 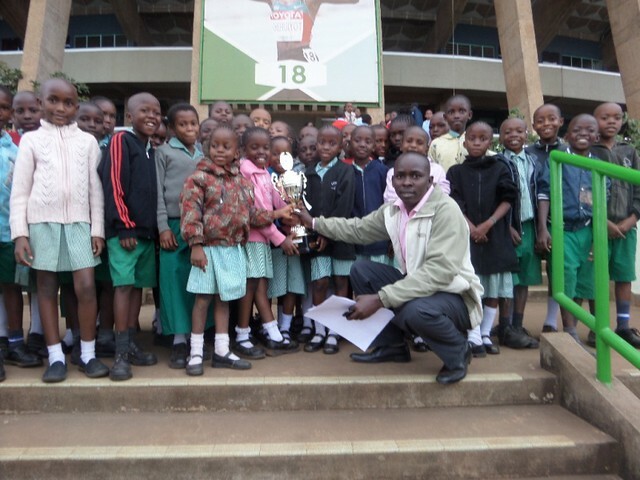 Sixteen schools were represented in this class and our school emerged the winner with a mark of 90%, we were awarded PETER SILINGI’S TROPHY and a certificate, we were all overjoyed !! This was indeed a wonderful achievement for our school and hopefully the first of many trophies we will endeavour to win over the next few years. We were given a short break before taking the stage for a second time to perform singing our own composition, this time we managed to attain 2nd Position with a mark of 88%, we were awarded a certificate and this was a plus to our joy. 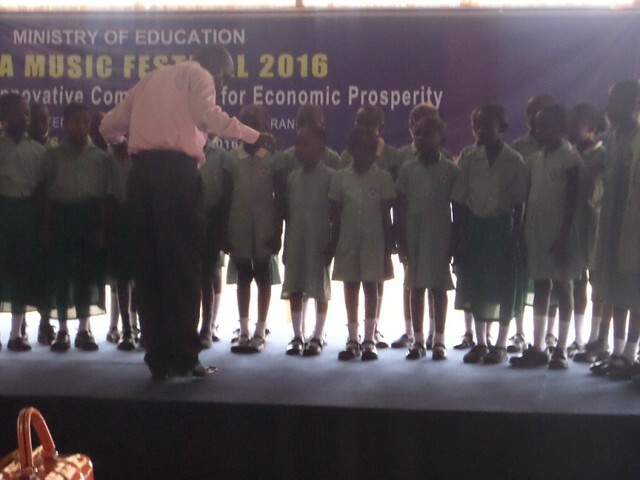 After this outstanding performance, we got an invitation to record our song with EDU CHANNEL and our children enjoyed the opportunity. 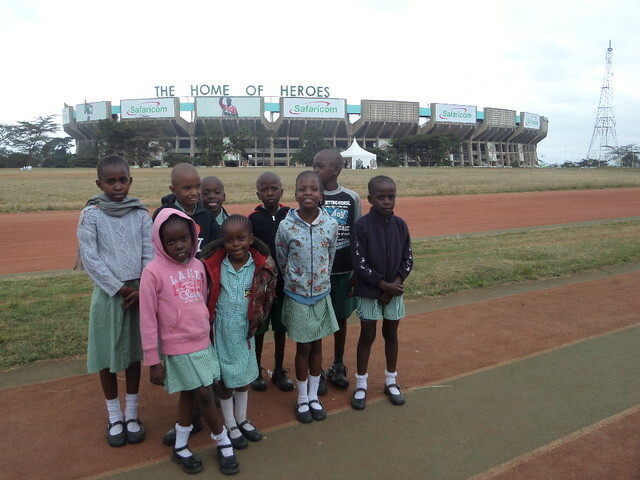 Thereafter the children visited different areas within the venue, had photo taken inside & outside the stadium, we were treated like celebrities. The day came to an end and we boarded our bus back to our home in Kilifi County. All the children and staff felt very proud as we arrived back at St Bernadette Mary School,we were winners at the national level which is no mean feat. In a special way I thank all the people involved in making this a SUCCESS because our children got the opportunity to develop and nurture their talents. May God Bless everyone who made this trip possible, without your support we would have never achieved this success. Well done Mr Kinyungu. Keep up the good work!! What a fantastic achievement! You should all be very proud of yourselves, well done! This is so exciting. I would love to hear you singing. Very well done to everyone. 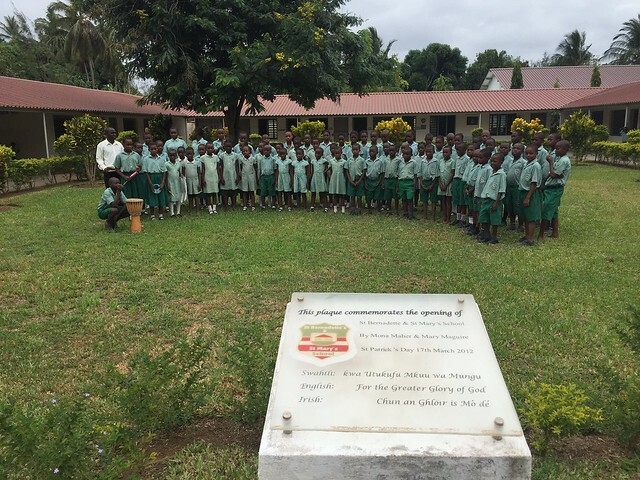 What a great effort – well done everyone! This is an amazing achievement. Well done everyone!